12 Feb 2019 --- Lobby groups are calling for an end to overfishing in the North East Atlantic following the publication of an overfishing league table listing the worst offending EU countries. This is part of a new report uncovering the member states most responsible for setting fishing quotas above scientific advice. Sweden tops this year’s table, the UK comes in second place, followed by Ireland, Denmark and Germany, respectively. The report states that member states will be fishing 312,000 tons above scientific advice for Northeast Atlantic fish stocks in 2019 – and the situation could get worse after Brexit as the UK will be able to set fishing quotas outside of the EU framework, the report’s author warns. Fisheries ministers are risking the sustainability of fish stocks by consistently setting fishing limits above scientific advice, according to the New Economic Foundation (NEF) report entitled Landing the Blame, the fifth report of its kind from the UK-based think tank. It says that much more attention needs to be paid to one of Europe’s most significant natural resources – its seas. One of the key concerns is that currently some European countries are still overfishing, seriously threatening the sustainability of stocks. The NEF calls for an end to the discrepancies between the fishing quotas imposed on member states fishing in the Northeast Atlantic and the catch levels recommended by scientific bodies including the International Council for the Exploration of the Sea (ICES). While the percentage by which Total Allowable Catches (TACs) were set above advice declined throughout this period (from 42 percent to 8 percent in all EU waters), the proportion of TACs set above advice did not. The reformed Common Fisheries Policy (CFP) came into force in 2014 and aims to restore and maintain populations of fish stocks above levels capable of supporting MSY. The corresponding exploitation rate was to be achieved by 2015 where possible and by 2020 at the latest for all stocks. It’s vital to follow scientific advice if European countries are to achieve this goal, end overfishing and restore fish stocks to healthy levels, says the NEF. There are 11 months until the EU’s self-imposed deadline to end overfishing. Speaking to FoodIngredientsFirst, Rebecca Hubbard, Our Fish Program Director, talks about the added challenges that Brexit could bring, once the UK leaves the EU. “While Brexit makes all things fishy between the EU and the UK at the moment – one thing is clear – the UK is showing no signs of dropping its addiction to overfishing and continues to flout the interests of UK citizens who are the public owners of this precious resource,” adds Hubbard. Whenever the UK stops working within the EU common fisheries policy – they must deliver a much stronger commitment to following sound scientific advice for sustainable fisheries management, or we will continue to see disastrous economic, social and environmental effects of overfishing, she says. “Fisheries ministers continue to pile up the pressure and the costs of overfishing, instead of taking both scientific advice – and the benefits it can deliver for the ocean and our communities – seriously,” Hubbard adds. “The UK will be able to set fishing quotas outside of the EU framework. We already have examples of this as some quotas are agreed between the EU and Norway bilaterally and some quotas are set with all coastal states multilaterally. As these quota negotiations are fraught with fights over how the pie should be divided between countries, these quotas are frequently set significantly above scientific advice so that every coastal state feels like they got the quota they deserve. 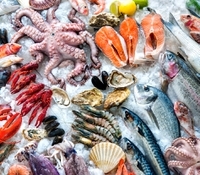 The consequence is systematic overfishing,” he tells FoodIngredientsFirst. The socio-economic side is one of the dynamics that makes fisheries an interesting and unique issue. Whereas often there is a trade-off between environmental impacts and financial outcomes, in fisheries they perfectly align. Allowing fish stocks to recover increases their size and thus fishing the same amount (say 10 percent of the population) results in much larger catches and also much lower costs (less time searching for fish). The report estimates that the UK could catch 442,000 more tons of fish for €392 million (US$441 million) in revenue if overfishing was eliminated and fish stocks were rebuilt, Carpenter notes. “It is risky and foolish that fishing ministers continue to delay the end to overfishing all the way to the EU’s Common Fisheries Policy deadline of 2020. Ministers must act now to protect marine life,” he stresses. The Our Fish campaign also highlights that fishing limits for the North Sea and Atlantic were set during AGRIFISH Council meetings in December 2018 and despite repeated requests from civil society, they are not open to the public or live-streamed. This lack of transparency makes it difficult to say who is most responsible for perpetuating overfishing, says Our Fish. Sweden has been rated as the worst EU nation in terms of overfishing in the Atlantic in the Landing the Blame report, going from ninth to first place in the league table. With over 52.4 percent of their TAC in excess of scientific advice – equivalent to 17,369 tons – due mainly to herring, whiting, mackerel and blue ling in the Skagerrak and Kattegat. “This year, Sweden is going to have to work hard to demonstrate its commitment to sustainable fisheries management by strongly supporting fishing limits in line with scientific advice and stronger monitoring and control of its fleet,” Hubbard explains. The UK has maintained its position as the second worst overfishing nation in the EU, with the highest percentage of their TAC in excess of scientific advice for Atlantic fish stocks (24.3 percent). However, the equivalent volume in tons has increased by more than 30,000 tons to 106,925 tons above scientific advice. Ireland was in first place but has now dropped to third place, according to the NEF report. However, the level of overfishing has actually increased to 21.7 percent of excess TAC (17.8 percent). Ireland has this year received 34,052 tons above scientific advice, compared to 31,127 tons last year. Denmark has risen to fourth position in the league table of member states with the highest percentage of their TAC in excess of scientific advice. According to the report, for the 2019 Atlantic TACs, Fisheries Minister Eva Kjer Hansen was involved with TAC decisions that allow fishing at 19.7 percent above levels that scientists have determined to be consistent with the sustainable management of European fish stocks – almost four times higher than last year (5.6 percent). Denmark has also received the second largest TAC increases above scientific advice in terms of tons (49,914 tons excess TAC), only preceded by the UK, and is, therefore, one of the top countries responsible for impeding the transition to sustainable fisheries in the EU, notes the report. Germany has risen from sixth to fifth position in the Overfishing League of member states. State Secretary for Fisheries Hermann Onko Aeikens was involved with TAC decisions that allow fishing at 18 percent above levels that scientists have determined to be consistent with the sustainable management of European fish stocks – a rate more than three times higher than for 2018 (5.9 percent), and equivalent to 20,620 tons of excess TAC above scientific advice. The Netherlands has also dropped down two places, from fourth to sixth. Fisheries Minister Carola Schouten was involved with TAC decisions that allow fishing at 13.5 percent above recommendations. However, this is still an increase from 7.5 percent for 2018 TACs. The Netherlands is also fourth in terms of the total tonnage of TAC set above advice, receiving 31,910 tons excess TAC above scientific advice (an increase from 22,104 tons in 2018). Meat, Fish & Eggs Fisheries Overfishing European Union North Sea North East Atlantic Fish Our Fish International Council For The Exploration Of The Sea New Economic Foundation.